Dubai: Dubai Mall will be opening additional pedestrian bridges to enhance connectivity to the world’s largest shopping mall, it has been announced. UAE-based developer Emaar said on Tuesday that it has made significant progress in the installation of five new “retail link bridges” that are set to open next month. With a total decked area of approximately 15,000 square metres, the elevated structures are being constructed across the Doha Road or Financial Centre Road, near the Roda Al Murooj Rotana and Rove Hotels. They are part of the mall’s new Zabeel expansion project and will provide shoppers direct access to Dubai Mall. The longest of the bridges is over 765 metres, with the other links varying in length from 120 to 582 metres. The bridge spans were constructed and pre-assembled in Al Quoz before they were installed at the site. Work on site includes the final steelwork connection, as well as asphalt overlay. 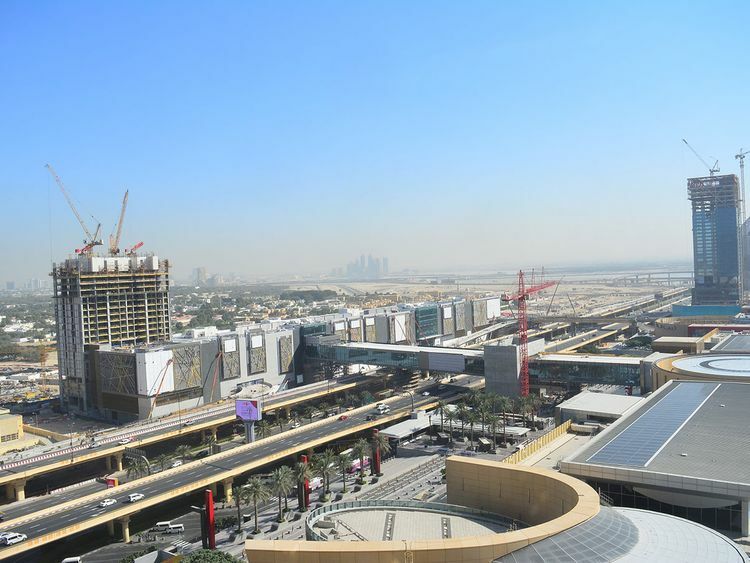 The new bridges are seen to boost Dubai Mall's visitor traffic, and allow shoppers to access the mall from the Zabeel side of the Financial Centre Road. Dubai Mall has already logged 80 million annual visitors for the past four consecutive years. Emaar had earlier opened link bridges from the Dubai Metro station as well as between the Address Boulevard and the Metro Link. The developer said the Dubai Police and RTA are extending support to minimize traffic disruption along the Financial Centre Road during the construction work in the early hours of the morning.